In the ever-changing world of SEO, it is important to not only keep up with current trends, but also to foresee and capitalize on future online trends. With this in mind, and the fact that “mobile search” is an ever growing trend that is only going to continue to grow in 2016, here are 4 important things to keep in mind in the coming year when planning your business’ overall 2016 SEO strategy. Mobile searches are now the majority of online searches done by users, so having a mobile friendly site is no longer just nice to have, but is HIGHLY mandatory. Based on the percentage of searches done on mobile (which is over 50%), nowadays it is almost logical to cater more to building your website for mobile user, as opposed to catering to desktop users. Having your website highly mobile friendly not only increases your site’s overall SEO value, but it also allows for a more enjoyable mobile user experience, which as time goes on, is only going to become more and more important for the vast majority of online users. When looking up a keyword on Google using a mobile device, the results you get can range a huge amount simply based on where you currently are with your mobile device. Because there is a GPS in most mobile devices, the major search engines like Google are able to use this exact location data to better cater relevant/local results to the user in a far more complex/dynamic way than a desktop search (desktop searches factor in your IP location, which could be quite far away from where you actually are and is highly static, while mobile searches use very accurate GPS location data that is highly dynamic). Because of this, it is now extra important to optimize your website content on the hyper-local level by mentioning your target location(s) in the text often, preferably near important keywords. By creating hyper-local content on your website, you can greatly increase your chances of ranking not only for keyword+location search terms, but also for more generic search terms being looked up via a mobile device from in or around that specific localized area. Voice search on various mobile devices is growing quite rapidly, and with it comes some interesting search trend changes. Voice search allows a somewhat lazy user who might normally type in short keywords like “Home Depot” to instead use voice search, and because of this, they are more likely to search a longer keyword/phrase like “Home Depot locations in Toronto”. This change in search behavior means that having longer-tailed keywords inside your website’s content can start paying off more than it might have in the past, and this should be factored into your website’s content writing whenever possible. As time goes on, more and more users are searching for question type keywords/phrases to get very specific results. Since the net now has so much clutter in it, users are forced to be more and more specific with their searches if they wish to avoid irrelevant results. As an example of this, if you wanted the hours for Home Depot, you are far better off searching for “What are Home Depot’s hours?” instead of just “Home Depot” (as typing a question has a high likelihood of providing an answer to your exact question as fast as possible). Because of this, more and more users are searching for specific questions instead of generic terms, so this should also be factored into your website’s writing whenever possible, as the more questions the content asks/answers, the more likely it will be found for users searching for similar questions in their searches. 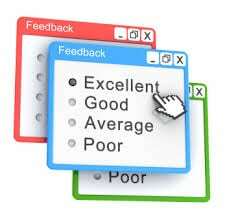 One simple way to do this is adding an FAQ or Q&A page to your website. 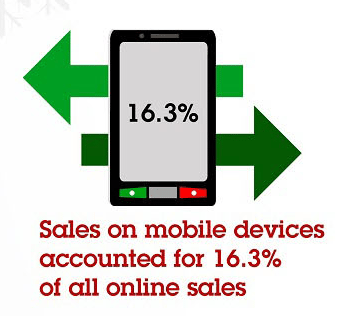 Mobile Shopping on the Rise: Is Your Online Marketing Strategy Right?